What does the frog in the garden eat? What does the pig on the farm eat? What does the bear in the forest eat? 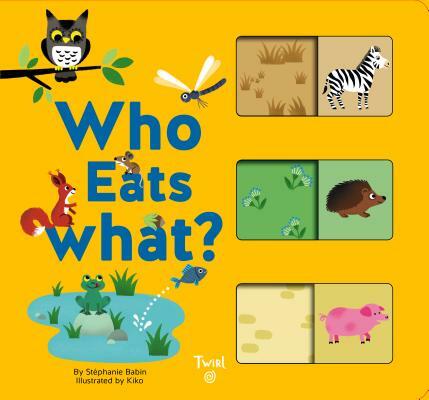 Young children will delight in sliding the panels to find out just what the 36 animals in this book like to eat, chew, and nibble on! They will also learn about the habitats of the various creatures. Kiko is the pseudonym for children's books illustrator Nicolas Archieri, who has worked on numerous fiction and non-fiction titles for Milan, Gallimard, and Tourbillon. He lives in Paris.